Just because it isn’t 90-degrees outside, does not mean that you’re safe from the sun’s harmful UV and Infrared (IR) rays. Although snow in Atlanta is rare, it can reflect 85% to 90% of the sun’s UV rays, so it is important to take safety precautions all year round. UV rays are most powerful between 10am-4pm so it is very important to protect yourself whether you are at work, at home, or in the car. One easy way to ensure you are protected from the sun’s harmful rays is with window films. 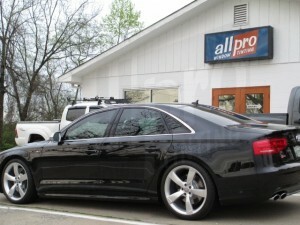 Automotive window tint can block 99.9% of the harmful UV rays from the sun. According to skincancer.org, “although car windshields are partially treated to filter out UVA, the side windows let in about 63 percent of the sun’s UVA radiation; rear windows are also unprotected, leaving back seat passengers exposed.” However having your car windows tinted will block out those rays and protect you from skin cancer. Residential window films are a great help when it comes to protecting your family and your belongings from the UV and IR rays in the fall and wintertime, as well as reducing heating costs of your home. 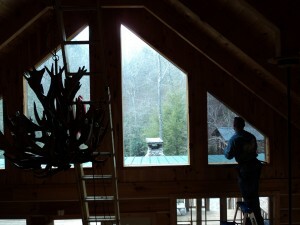 IR window films can stop fading when it comes to flooring, leather furniture, artwork, etc. Did you know that windows alone are ineffective when it comes to heating your home? As much as 30% of the typical home’s heating may get lost through windows during the winter, but window tinting can prevent heat from escaping through your windows. You know that annoying glare off your computer monitor that bothers you year round? Installing commercial window film to your office will reduce that glare. So in addition to protecting your skin, you will also eliminate that annoyance. In addition to reducing the glare, you will also reduce your heating costs and protect your employees from harmful UV and infrared rays and belongings from fading.